The modern-day relevance of Wilde’s book could not be any clearer: a new hedonism, the cult of eternal youth, when in reality it is just the vanity of fleeting beauty. Dorian Gray introduces us to the diabolic lie of eternal youth. The myth of eternal youth is alive and kicking. 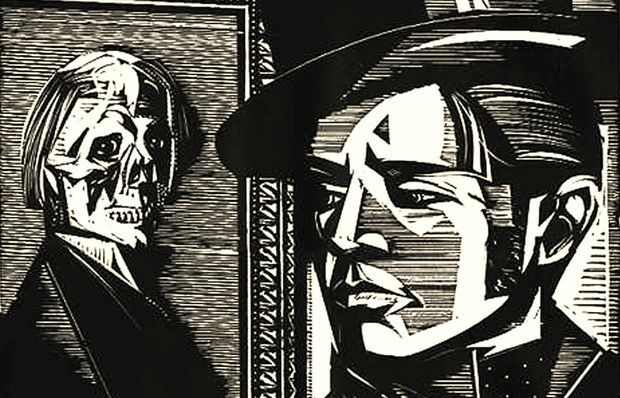 Oscar Wilde’s “The picture of Dorian Gray” (1891) is a classic that is increasingly read from a Christian perspective. 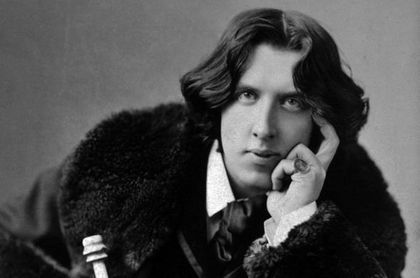 There was a time when Wilde was considered as the best example of moral decadence. The most recent studies insist, however, not only on the faith that he found at the end of his life – before dying of syphilis in 1900–, but also on his attraction to Christianity from his childhood. Novels like this beg the question “For what will it profit a man if he gains the whole world, and loses his own soul?” (Mark 8:36). Various films have been made of the story. The best of these continues to be Albert Lewin’s 1945 version. Lord Henry Wotton is played by the British actor George Sanders, before falling into oblivion at about the time that he committed suicide at the hotel Rey Jaime at the Castelldefels beach resort in Spain in 1972. The picture is something more than a version of the myth of Faust. The last version by Oliver Parker lends a fantastic reading of this classic tale, trying to adapt it to the consumer habits of a modern audience, but becoming a decaffeinated example of post-modern horror, lacking any interest. The only good things was, again, the character of Lord Wotton, played on this occasion by Colin Firth, in the role of Dorian Gray’s sophisticated and foul-mouthed initiator to the world of hedonism. The leading actor in “The Chronicles of Narnia: Prince Caspian” (Ben Barnes) lacks the malevolence to show the process of perversion of the main character, thereby reducing the intensity of this exploration of the corruption of a soul, which Wilde achieved in this masterful tale about beauty, pleasure and vanity. The story of a handsome young whose portrait grows old so that the original can remain young, is based on the Faust tradition in which someone tries to sell his soul to the devil to achieve immortality. The painter Basil Hallward represents the pure artist, in love with platonic beauty and a cultivator of youth as a religious cult. Is this Wilde himself, in love with that young and handsome poet, John Gray, who the author loved and admired? Wilde is one of the few authors whose personal life excites as much interest as his work. His tomb in the Père-Lachaise cemetery in Paris, the house in which he was born in Dublin and the house in which he lived in Chelsea – with his wife and two sons–, have become places of pilgrimage for his readers. Wilde’s imprisonment at Reading prison in 1895 on the accusation of maintaining a homosexual relationship with Lord Alfred Douglas, became a symbol of the gay movement. His last three years in Paris – following his release in 1897 –, were spent discovering the orthodox catholic faith, rather than in the pursuit of carnal pleasures. This perspective has shed a new light on his work. In 2005, Michael Buma, a professor at the University of Ontario (Canada), published an academic article in the Victorian Newsletter, a journal of Victorian studies, entitled “The Picture of Dorian Gray, or, The Embarrassing Orthodoxy of Oscar Wilde”. In it he defends the profoundly moral character of Wilde’s story, as he himself recognized in a letter to the creator of Sherlock Holmes, Arthur Conan Doyle, when he said in 1891: “I cannot understand how they can treat Dorian Gray as immoral”. In a letter to the St. James Gazette journal, Wilde writes that his story: “is a story with a moral. And the moral is this: All excess, as well as all renunciation, brings its own punishment”. The problem is that he himself says in the preface to the novel that: “There is no such thing as a moral or an immoral book. Books are well written, or badly written. That is all”. Is he therefore defending art for art’s sake? According to professor Buma, “the last thing he wanted to appear was orthodox”. These comments sought to “[obfuscate] what he considered to be an excessively apparent moral conclusion”. The problem arises from the double meaning of the word “moral”, which can mean “a lesson that can be derived from a story or experience”, but it can also have Wilde’s preferred definition of “meaning” – which is more in line with current postmodern narrative theory. The first generation of the novel’s critics reacted negatively to the moral of a story that they saw as being dominated by evil. In Wilde’s story, this acquires the clear biblical meaning of sin. 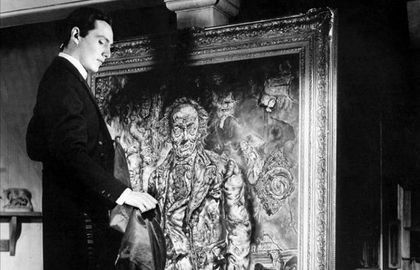 “The picture of Dorian Gray” is a novel that immerses itself in the abysm of evil, from the Christian perspective of a universe in which God exists and makes man responsible for his own goodness or evil. Wilde is not considered a decadent Victorian figure anymore, but someone who is fascinated with Christianity. At the beginning, the Bible presents man and woman in a yet uncorrupted world. Evil enters Eden (Genesis 3) through an external entity, the serpent, who tempts Adan and Eve to eat the fruit of the forbidden tree. By doing so, sin irrupts into the world. On being cast out of Paradise, they not only face problems and difficulties, but they also find that their own moral nature has changed. Evil is within them. As Dorian says to Basil: “Each of us has heaven and hell in him”. In the novel, Lord Henry has a similar role to the serpent in Eden. Just like Adam and Eve, Dorian is seduced by thinking that he can sin without suffering evil. “The only way to get rid of temptation is to yield to it”, is a famous phrase from the book. “Every impulse that we strive to strangle broods in the mind, and poisons us”, says Lord Henry. “The body sins once, and has done with its sin”. Given that “Nothing remains then but the recollection of a pleasure, or the luxury of a regret”. Lord Henry’s bad influence is always couched with wit, observation and charm. He is manipulative, devious and insidiously cunning. He reveals the subtlety of evil. In the film “Usual suspects” (1995), the character of Kevin Spacey reminds us that “The greatest trick the devil ever pulled was convincing the world he didn't exist”. 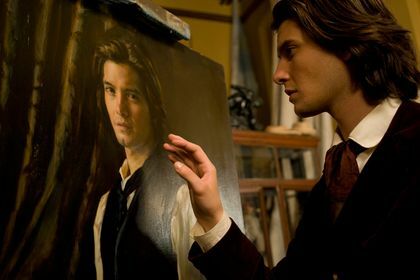 That is what Lord Henry does with Dorian Gray. Lord Henry presents himself as an indifferent observer. He does not seem to act maliciously, but he perverts Dorian. Behind his appearance of inoffensive epicurean decadence, lies the Nietzschean superman, who believes that he has freed himself from an imposed morality. His aim in life is “to be in harmony with one’s self”. Lord Henry’s mistake is also that of the character of Satan in Paradise Lost: “Better to reign in Hell than serve in Heaven”. His moral position is similar to that of the devil, the old serpent in the garden of Eden, tempting Dorian to seek a “new Hedonism”, since “there is absolutely nothing in the world but youth”. The modern-day relevance of Wilde’s novel could not be more evident: a new hedonism, the cult of eternal youth, when in reality it is the vanity of fleeting beauty. This story could be the perfect portrait of our times. These are the false promises that the world continues offering us today. In the Bible, Satan’s main strategy is to recommend, promote, help, seduce and confirm our inclination to sin. When we sin, we “give the devil a foothold” (Ephesians 4:27). He is not interested in frightening people with bizarre effects, as used in horror movies, but to corrupt men with false promises and bad thoughts. This is the destruction of faith. Because, what is the root of sin? Dissatisfaction with everything that God is for us in Jesus Christ. It is incredulity in the superabundant grace of God. Placing our trust in anything other that is not God, that is what makes us sin. We fall into the power of the deception of trusting in ourselves or in any of the things that God gives us. Oliver Parker turned the story it into a decaffeinated post-modern horror film with actor Ben Barnes. Satan sows doubt regarding God’s goodness. His aim is to sap our confidence in Him, so that we believe that the promise of sin is more satisfactory than the promise of God. His only hope of success is to hide the truth and the beauty of Christ from our minds (2 Corinthians 4:4). When our thirst for joy, meaning and passion is satisfied in the promises of Christ, the power of sin is broken. That is the faith that overcomes lies, the confidence in what God is for us in Jesus Christ. This is the only eternal beauty there is!